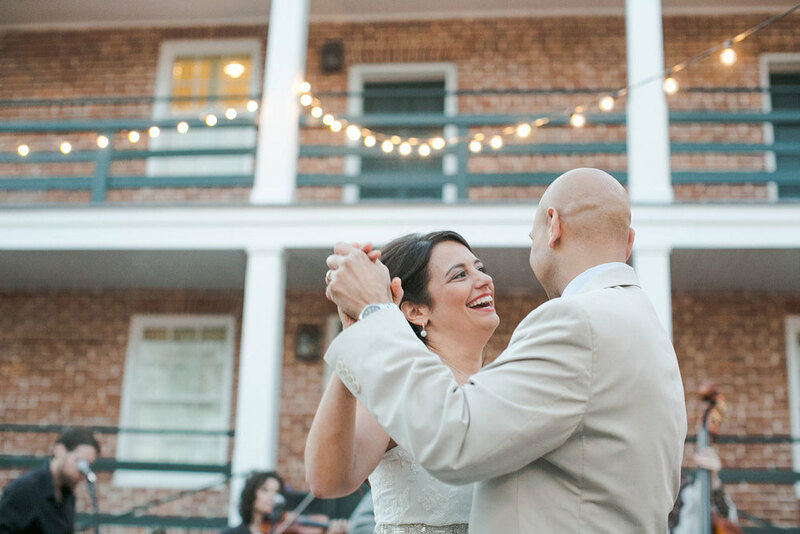 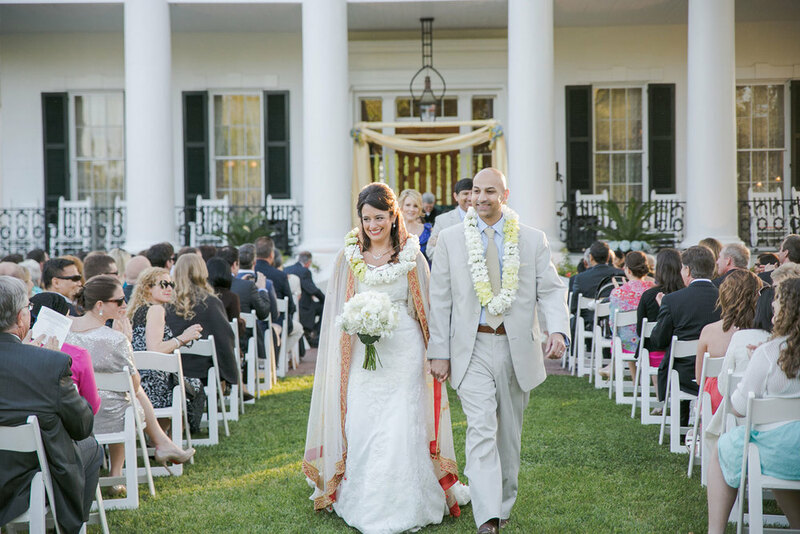 This destination bride and groom planned a perfect Christian-Hindu union on the front porch of the Dunleith Plantation in Natchez, MIssissippi. 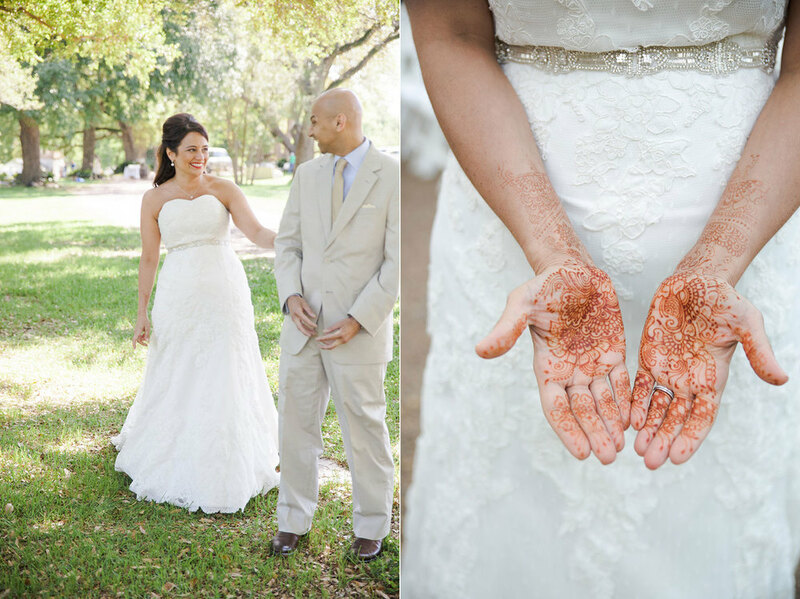 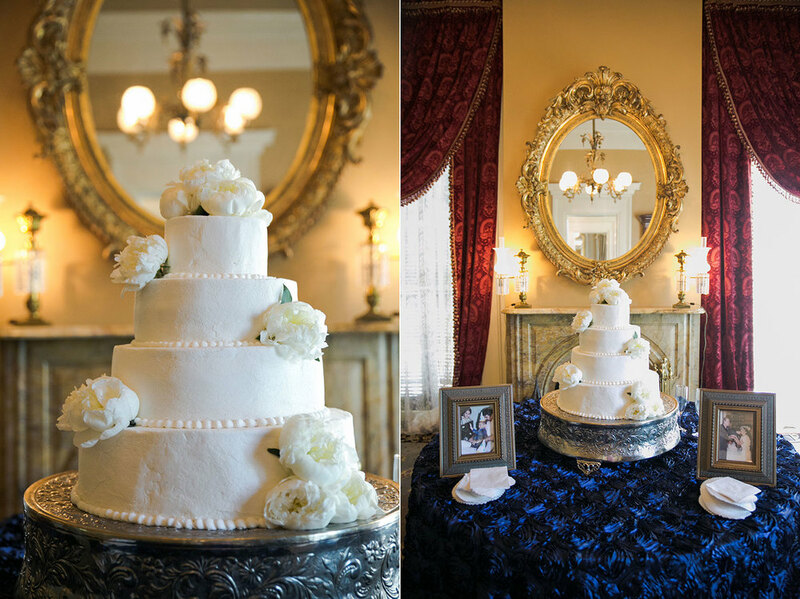 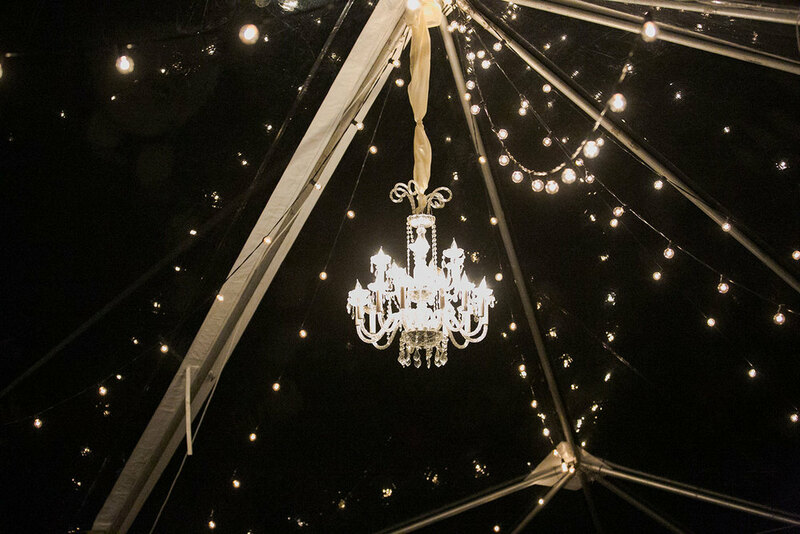 Combining both cultures into a singular celebration was a treat for family and friends alike! 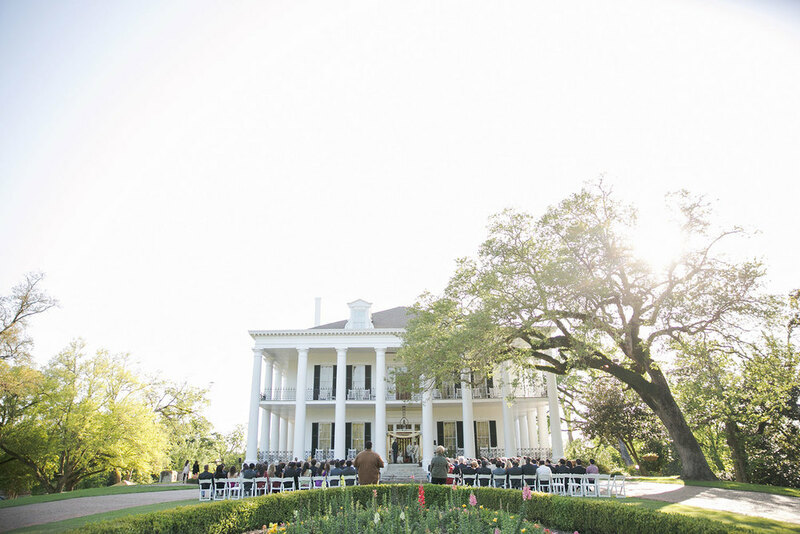 The evening began with the groom's entrance to the ceremony on a horse drawn carriage during baraat, mango lassi served alongside strawberry sidecars, and southern comfort delivered outdoors with vintage seating vignettes throughout the plantation, ending with a confetti send of for the newlyweds at the celebration's closing.